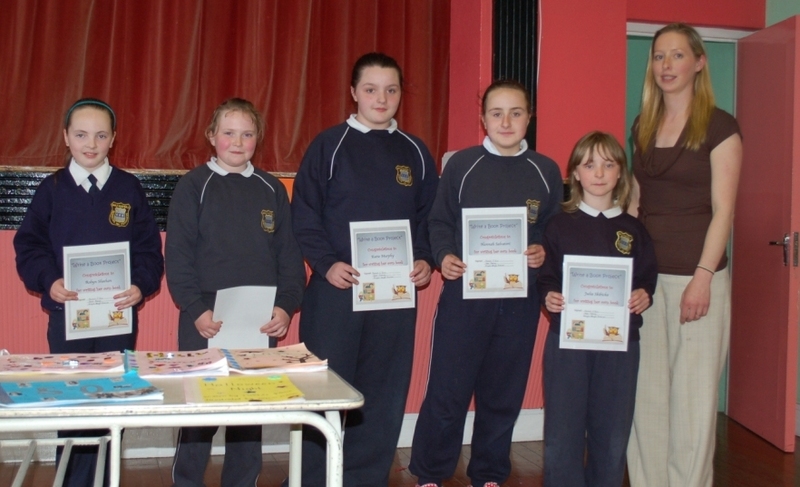 On 17th May, after a lot of preparation 4th class launched their books at an event in the Halla. Parents and grandparents, teachers and even our cigire attended this event. 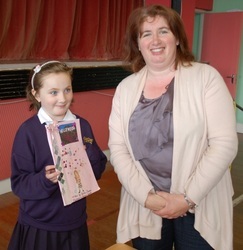 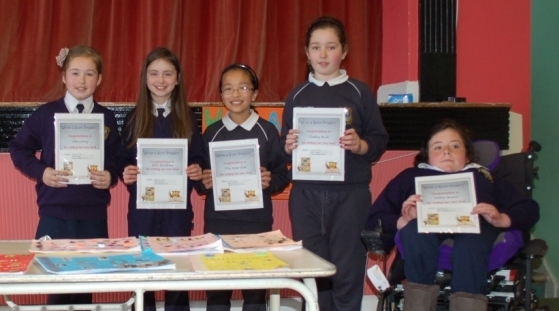 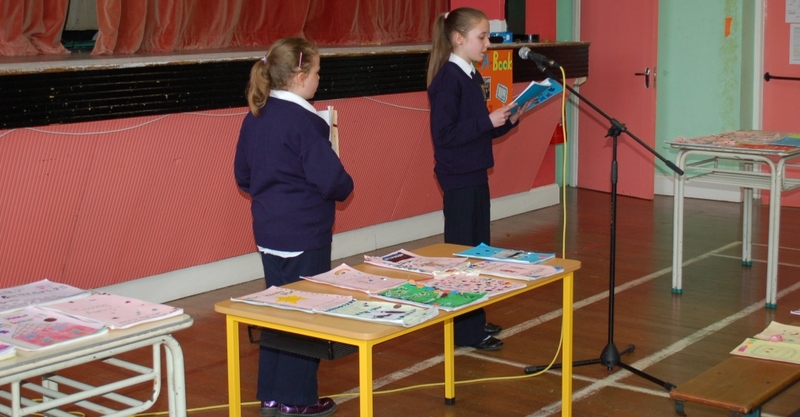 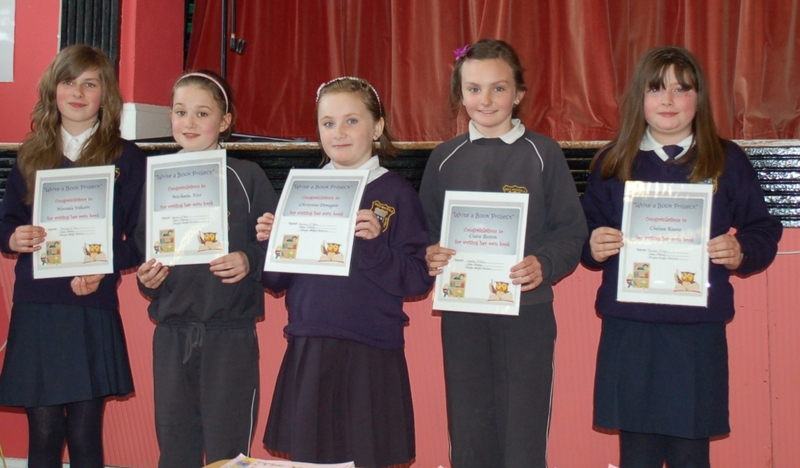 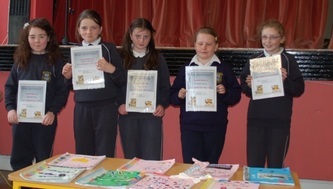 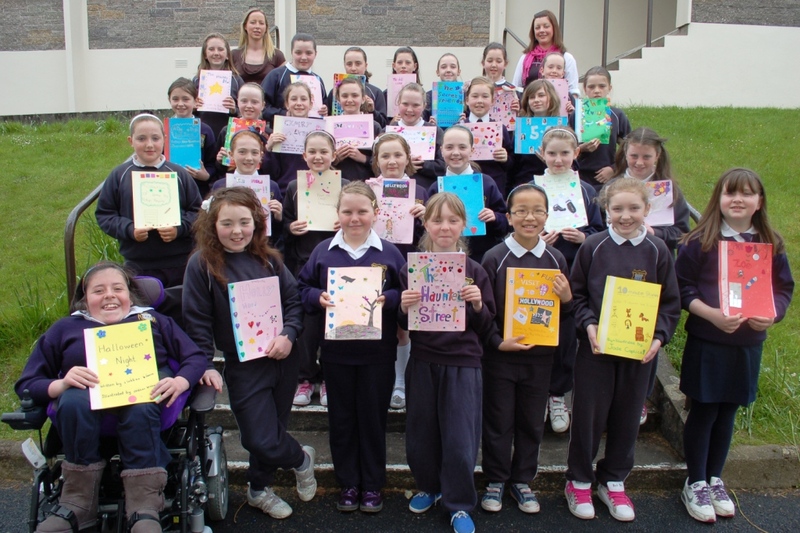 Every girl in 4th Class has been writing her own book since Easter. 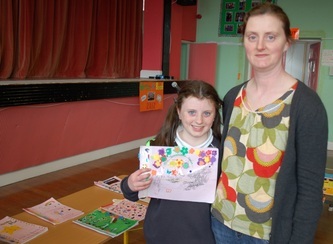 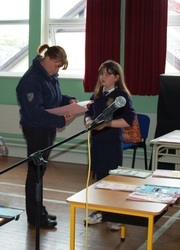 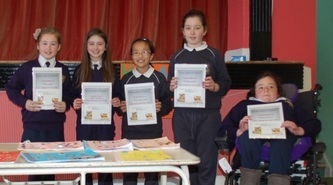 Each pupil planned, wrote, redrafted, bound, and illustrated her own book. At this event many of the girls read an excerpt from her book. 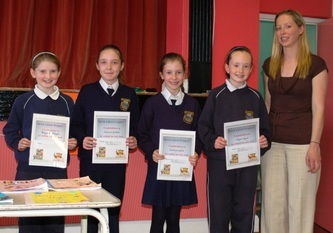 Afterwards all the girls were presented with a certificate from Ms.Hayes. Well done to all the 4th class girls for their efforts.